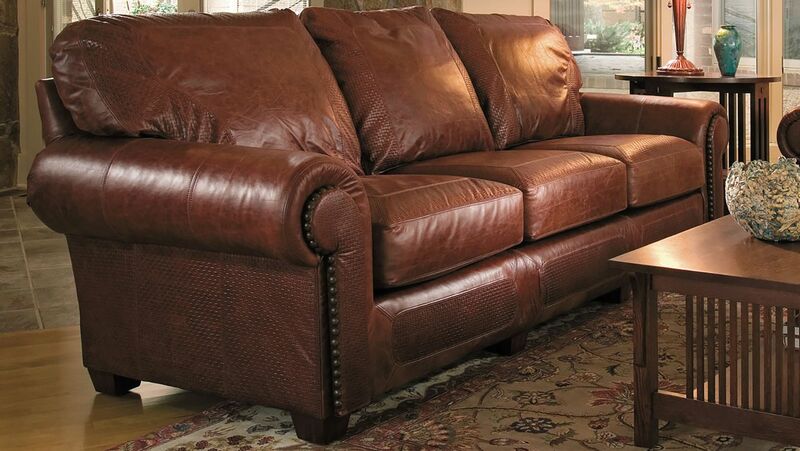 Proudly Made in America, from Stickley, a premium American brand. 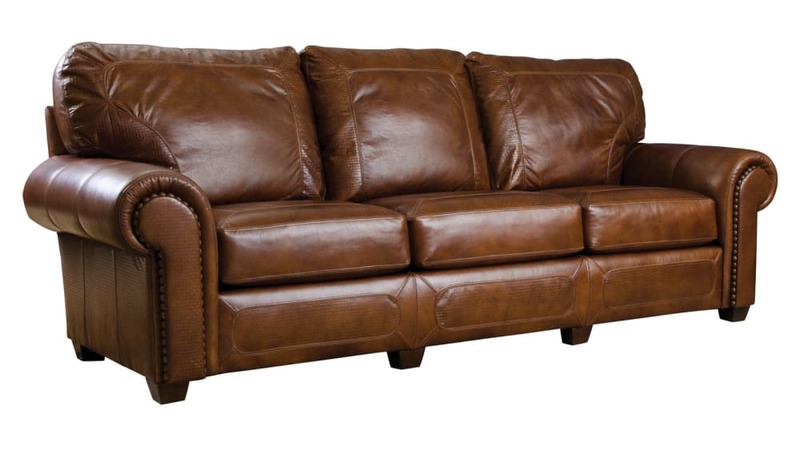 The upholstery is beautiful, smooth, top-grain leather. A solid hardwood frame provides durability and quality. An eight-way, hand-knotted suspension system offers unbeatable support, for a memorable sitting experience. Nailhead trim adds visual flair.